Do you ever feel like building an expansive and engaged audience online is a near-impossible, herculean task? Doing so requires you to truly put yourself out there. To expose yourself to critics, naysayers, and yes… even trolls! Or worse, your only response could come from an orchestra of crickets. Let’s face it, finding and expressing your voice online is not easy. It doesn’t matter if you’re already an expert in your field or are just getting started. When it comes time to set up your camera or microphone and press record, the stirrings of doubt, uncertainty, and fear can rise to the surface. So, when you see someone who has built a large audience, it’s easy to feel overwhelmed, intimidated, and even a bit jealous. Where do you even start? How do you cut through the noise, stand out, and make an impact? For the answer to that question, we turn to our guest on today’s podcast: Clayton Olson. Clayton is a relationship coach whose mission it is to empower individuals and couples from around the world to find harmony and authenticity in their relationships. Clayton has successfully grown his audience on YouTube from zero to over 100,000 subscribers in just over two years’ time. He’s also been successful in leveraging his audience on YouTube to build a profitable business selling digital products and coaching services. In this episode, Clayton reveals the exact strategies he used to get started and grow his YouTube channel. If you’ve ever wondered how someone can make money through YouTube or convert video subscribers into customers, this episode is for you. It’s so easy to quit when you’re not seeing any results and you’re also not inspired about what you’re talking about. I think the key to success is balancing the combination of persistence and inspiration. Often times, those two things don’t go hand in hand. Clayton made so many valuable points and recommendations in this episode. We took notes and created a special companion guide for you about how to start, grow, and monetize a YouTube channel. If you’d like us to send you a copy of the guide, click below and we’ll send it right on over to you. We hope you enjoyed this episode with Clayton and now have some valuable ideas you can implement to grow your audience. If you have any questions, comments, or insights to add, we’d love to hear from you! Join our discussion and add a comment below. Eric: You’ve been doing your YouTube channel for a little over two years. And, you’ve gotten to the point where you’re now at over a 110,000 subscribers. Do you have an idea of what the essence of your success was? You’re listening to Clayton Olson share how he grew his YouTube audience from zero to over 100,000 subscribers in just over two years’ time. This is a huge accomplishment and I’m happy to welcome him on to the Subscription Entrepreneur podcast. Clayton is a relationship coach whose mission it is to empower individuals and couples from around the world to find harmony and authenticity in their relationships. In addition to growing a substantial, engaged audience on YouTube, Clayton has built a profitable business selling digital products and coaching services. In this episode he shares the exact strategies he used to grow his YouTube channel and his approach to using YouTube as a way to drive prospective customers to his website. If you’ve ever wondered how someone can make money through YouTube or convert video subscribers into customers, this episode is for you. 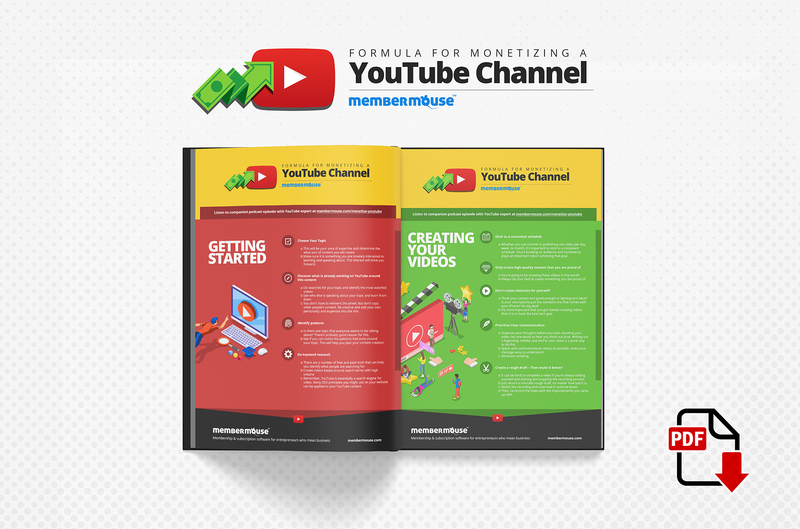 And as a special bonus, we’ve created a companion guide that illustrates exactly how you can start, grow, and monetize a YouTube channel. To download this guide, go to SubscriptionEntrepreneur.com/115. I hope you enjoy this episode and find value in Clayton’s insights. I’m your host Eric Turnnessen and this is episode 115 of the Subscription Entrepreneur Podcast. Eric: Hey Clayton welcome to the show. Clayton: Hey, thanks for having me. Eric: My pleasure. Thanks for being on. I really appreciate it. I’m very excited to talk to you today. I’m going to apologize in advance for being greedy because you have had great success on YouTube and there’s a lot of questions I have. I’m going to be unrelenting in trying to mine you for valuable in information. Clayton: Great. Looking forward to it. Eric: To get started, can you tell us a little bit about your background and how exactly you got started in relationship coaching? Clayton: In my twenties I was involved in the corporate world. I had a tech sales job. It robbed the soul from me. I realized that it wasn’t something I wanted to do long-term. I had always been interested in something called neuro-linguistic programming, and NLP. I got into it when I was around 18. I used it in different points of my life in order to gain confidence and do work on myself. I transitioned into sales and used it in sales as well – where it was applicable. At some point, in my late 20’s I wanted to have a deeper, more gritty conversation with people. I wanted to talk about stuff that I felt really mattered. I had met another fellow relationship coach here in Denver. I was friends with him for a while. He offered to take me under his wing, mentor me a bit in terms of selling and working with people. I would split some commissions with him off of anyone I was able to help or enroll into a coaching package. It seemed like a good mix. I wanted to be a life coach in general, but the folks that he had on his email list were a bunch of individuals going through breakups that were in a really deep, powerful transition in their life. They were looking for someone to walk next to them and point out some things that they couldn’t see. I came on board and fell into the whole relationship coaching aspect. Soon I fell in love with it after talking with a number of people. I started seeing patterns and becoming better at spotting things and asking the right questions to help people come to their own conclusions, become more empowered in whatever challenge they were facing. For the last six years that’s what I’ve been doing now. Eric: What do you think it is about relationship coaching that is so impactful for you? Clayton: I think I have always had a hard time with relationships. I think it’s probably the frontier that I really want to focus on and develop into a whole and complete human being. I loved business in my 20’s, but I wanted something that was a little bit closer to my heart. I feel like relationships – that is the place where people experience some of the greatest challenges as well as, some of the most incredible growth. I love being in that conversation. It makes me feel alive and there is something incredibly touching when I’m in conversation with folk and there’s something really inspiring happening in their life. Whether it’s reconnecting with somebody that they’ve broken up with, or finding somebody that they’re absolutely head over heels with, or just doing the deep work necessary to prepare yourself for relationship. All of that stuff just makes me feel so alive and fulfilled. I do feel like when I’m working with other people that I’m really working on myself. It’s not that I’m just helping them or I’m being some Guru, but rather we’re in a conversation together. Something that’s being co-created is something we can both take from and use in our own lives. Eric: It’s a relationship within a relationship. You’re relating in just the sense that you’re coaching somebody. Clayton: That’s a really great way of putting it. It’s almost like we create a formal relationship to talk about relationship. In that formal relationship it has boundaries and a certain health to it that we get to facilitate and grow. It’s a pretty beautiful thing. I feel like I’ve gotten a hell of of a lot better at relationship just by being a coach. Eric: I really resonate with what you say about growth really comes from the struggle. It’s the same in business. We have relationships with our businesses and our businesses test us. The thing is, there’s a certain percentage of us that as soon as we hit one test, we leave. Then there’s a certain percentage of us that when we hit a test, we take it and we push through it. That’s the time when growth happens. Clayton: Totally. Just to underscore something too – it’s really the relationship that you have with yourself. I operate under the tenant that the relationship that we have with our self is what gets echoed externally into the relationships that we have with everything, whether it’s business or other people. So, if there’s someplace where we’re dishonest with ourselves. If there’s someplace where we’re not taking responsibility or we’re disconnected within ourselves to ourselves, we will experience that as a phenomenon that occurs outside of us. Eventually, for us to work on externally. Oftentimes, that internal work goes hand-in-hand with the external work. Eric: I certainly have experienced that. Before we get into the YouTube stuff, this is really intriguing. You mentioned that when we need to address something within ourselves it shows up in our external world in some way, what are the ways that we can block ourselves from seeing that? Also, what are the ways that when we do perceive that we are being tested? How can we find the courage within ourselves to go into that? Clayton: I’ll give a real-world example rather than talk about it conceptually. One of the common occurrences that I come across with clients that I work with are folks that are either going through a break-up, or perhaps they have been single for a while and they’re trying to find love. They’re trying to find a significant other, or they’re trying to get back together with a significant other, or save something from careening off the metaphorical cliff. They come to me and they are wanting some type of tactics typically. Many people say, “what do I do? What is it that is outside of me that I need to start fixing, saying? How do I need to start showing up?” The place where they’re going to – the highest leverage point in that is really is – how are they relating to the uncertainty that is in front of them? The way that they’re tricking themselves is they’re thinking that if they somehow have the right words, or they finally find the person that they’ve been looking for, get into the type of relationship externally that they always wanted that suddenly life will be better. That they won’t have any more problems or it’s somehow going to fix this existential problem that they’ve been grappling with. Oftentimes, if we’re not in rapport with being alone – if we have a hard time being by ourselves and being with our own company, we just bring that same level of disconnection into the relationship – even if we have the perfect person in front of us. Or, we bring some level of desperation into the relationship and we plug into them we’re looking at the relationship as something that we can get from rather than the relationship being a platform that we get to bring an offering to. The work in this is to focus in on oneself and slay the dragon of loneliness. Any obstacles that are stopping you from finding enjoyment, satisfaction and happiness where you are at right now first. And then from that place move forward into perhaps being open to the idea of an external relationship with somebody else. Rather than thinking that I’m going to find a relationship so I can fill this black hole that’s in my heart, that I can’t do on my own. Eric: Reminds me of a story that I heard recently. A friend of mine said that they had a friend who had been in a relationship. They’ve been in that relationship for four months and everything was great, but then the relationship got to a place where there was starting to be silence between the two of them. That made one of the parties uncomfortable and I thought to myself, that’s the honeymoon phase. The honeymoon phase is where we are distracted by the lights and the movement of what’s happening. If it’s a good relationship, ultimately it comes back to silence and being with ourselves, so you can never avoid it. Even in relationship. Clayton: That’s a really good point. I like the way you put the honeymoon phase. It’s almost like we are in some ways interacting with the fulfillment of the fantasy that we once had. We are in relationship with the fantasy of something rather than the relationship of what’s actually in front of us. Once the honeymoon phase ends, that’s when the real relationship kicks in and the real work starts. Eric: This is such a prevalent phenomenon. It is such a thing that many people deal with. So, you were working as a relationship coach in Denver doing one-on-one stuff. I imagine at some point the YouTube channel all started because you wanted to reach more people? Clayton: I had been touring around and thinking about starting a YouTube channel for about a year. I was really scared. I thought, I’m going to get criticized. Perhaps I might have to come face-to-face with that. Maybe I don’t know what I’m talking about or, maybe people in this anonymous environment are just going to rip me to shreds. I had to get through to a lot of those self-incriminating beliefs. Finally, I got some encouragement from a few folks – a few friends who were like, “hey man you should go on camera.” It took couple people saying that before I finally worked up the courage to do it. Right? It wasn’t I just had this confidence like I know I’m going to be great on YouTube, I know this is going to work. I had a lot of doubt. Finally, I said “okay let’s just start with committing to one video.” I did that and I felt like the message was just transmitted so much more cleanly with the soul of who I am. I realized that was a medium that I wanted to explore more. It was the seed and I wanted it to grow into something bigger. I also wanted to memorialize and document some of the insights that were coming to the surface as a result of working with people in these really deep places. I wanted someplace where I could share those ideas, bring in more clients. Also, I constantly had this experience Eric where I look back at some of these old videos that I created a year or two ago and I think, wow that was interesting. I don’t even think I would have come up with that or I don’t even know if I would have had the idea to create that video now. It’s wonderful to have this stuff documented because I was in a different headspace. There were certain, really subtle, perhaps truths or, ideas or concepts that just came up while I was on coaching calls. It’s almost like a diary in some ways of the journey that I’ve been on working with people. It’s wonderful to be able to go back and share that and learn from some of my past videos. Sometimes I go back and I think, “interesting it seems like perhaps there’s some evolution that’s happened.” Maybe I don’t completely agree with everything that I was saying there, but it was true at that time. So, to be able to track the growth – myself as well. Eric: You’re like an artist of a kind. Your sunsets are the particular people you’re working with and each one is so unique. When you experience it directly, you can then paint it as a video. We see sunsets every day, but can we remember any particular one of them? That’s really cool that you can go back and experience them again. Clayton: That’s a great metaphor. Eric: You’ve been doing your YouTube channel for pretty consistently for a little over two years. You’ve gotten to the point where you’re now at over a 110,000 subscribers. The meat of this conversation is that what I really want to get from you is why you think the success happened and specifically what tactics you use to to get there? Before we get into this specific things, do you have an idea of what the essence of your success was? Clayton: I would say it was a combination of balancing persistence and creating from a place of feeling inspired. Often times, those two things don’t go hand in hand. I heard some advice back in the day about how you need to be uploading at least one video week. I held that as a loose commitment of something I really wanted to move forward with. I also had a real dedication to making sure that I was putting up quality content. I don’t necessarily mean quality content in terms of the video in the sound production was perfect because it was far from perfect. I wanted to be proud of the stuff that I was putting out there and I wanted to be engaged and had a certain life to it. That was another commitment that I made. I think those two things balance and persistence. Balance of the creation, creating from being inspired and persistence is the essence of what made this work. Eric: I watched some of your recent YouTube videos and one of the first things I noticed, because I was looking for it, was you didn’t have a lot of production value. You are either holding what was probably an iPhone camera – handheld. You just had it on yourself. You didn’t have a dedicated microphone. That’s fine! I’ve also seen this in a lot of customers of ours who are successful. It’s not about how their site looks. Going back to the point that you said earlier when people come to you as clients and say, “what can I change externally about myself to find success?” We see that reflected in business. “How can I make my site look like other people so that I can be successful at ours? How can I make my YouTube videos look like other people’s so I can have the same successes as them?” What we come to find and see in the people that are successful, and you are an example of this is – it doesn’t come down to the specific technology you use or what your dressing it up with. It comes down to you are you present or are you delivering a unique message from yourself and being yourself? Clayton: Absolutely. As you were talking I was just in my head thinking, yeah it comes down to really holding the line on being yourself, and being fully present. Or, let’s just say having the commitment to that. Absolutely. Eric: Now you probably get this question a lot. If I’m someone who is just getting started with YouTube, what advice do you give? Clayton: First, I want to know why you want to get started with the YouTube. What is it that you are wanting? Are you wanting a platform to express thoughts, or you wanting a platform to entertain people, or are you in it because you want to make money off the AdSense? What is the “why” behind why you want to start a channel? Eric: I’m guessing the answer to that question tells you immediately whether or not they have the appropriate foundation to be successful? Clayton: It does. It actually speaks to whether or not they’re going to be persistent enough to get through that first nine months to a year of just crickets. Clayton: That’s really the journey. YouTube – it takes time. It takes time to get picked up by their algorithm and it takes time to also refine and carve your message out of something that is more permanent and clear. If you’ve got a really good “why” and the “why” is not necessarily just about the money, or wanting the attention, or wanting to entertain. In my opinion, I know there’s a lot of people out there and vloggers who put up videos because there’s a massive entertainment value to them. Also, there’s something that I’m sure they’re really getting, there’s something that feeds their soul about being able to express themselves that way. I imagine that’s a big part of the motivation to continue to start seeing the results. That “why” is really going to determine whether you’re in it for the short-term or the long haul. Eric: It’s the same in membership sites and I imagine a lot of other things. Like you said, in the beginning you’re just going to get crickets. If you’re looking for your motivation to be external validation then you’re going to lose steam immediately because that external validation doesn’t come right away. Clayton: Yeah and not only does it not come but YouTube can be this ruthless platform where people can just an anonymously drop any comment on your stuff. Some of it can be cutting, some of it can be really encouraging, but there’s a certain level of detachment around what other people think that is necessary to get some of your heart and soul out there. I think it’s a very different from speaking in front of people because there’s not that anonymity – and there’s that connection. When you’re just putting videos out to massive folks and don’t really know who they are or what their demographics are. You might have an idea, given the name of what the video is, but there’s some level of separation from some people’s opinions of you and what you’re putting out there that needs to be in place. Eric: Might that also be why consistency of what your message is important because then overtime, naturally more of the people who are interested in what you’re talking about are going to be around than in the beginning when it might just be more mixed? Clayton: Yes. I do think that with every video and the longer that you are creating these videos that have perhaps a hologram of your core messages, the more you’re going to weed out the people that are not your audience and the more you’re going to bring in people that are. Eric: Assuming that when you’re talking to someone that wants to get into YouTube and they answer with the “why” that yes this is something that comes from me and I have the innate inspiration to push through whatever it takes. I just want to deliver this message. They passed that test, ok well what’s next? Clayton: At that point – just to draw from my own journey, is really picking something and making sure that whatever it is you’re going to be talking about it’s really engaging for you. It’s something you’re continually interested in learning about. Relationship is something – I am consistently reading relationship books, going to seminars, going to workshops. It’s not stagnant, right? It’s not a stagnant body of knowledge. It’s something that’s continually growing every day, every week and therefore there’s constantly new information that’s coming in that I’m able to digest and then come up with different insights and take little notes of them. I would say that not only are we coupling finding the “why” with why you want to start the channel, but then also picking something that is growing. That you can continue to come back to and refine and grab new knowledge and always feel inspired and engaged about talking about talking about it. Eric: I find the best advice I also give people who want to start websites. You have to have an innate interest in the thing that you want to create courses about or whatever otherwise you won’t have the depth of content to draw on to keep the ball rolling. Clayton: Exactly, to keep the ball rolling. It’s so easy to quit when you’re not seeing the results and you’re also not inspired about what you’re talking about. When you’ve got that at least your sourcing all of the good feelings from within because you’re enjoying the process. Eric: Yes. Then getting into the more practical side of things. I know my topic is, I’m going to go start shooting videos. Let’s take for an assumption, I know how to take a video, shoot myself and edit it, produce it, and upload it to YouTube, but once I’ve done that is there anything else I should be focusing on, or thinking about – once I’m actually producing content and getting it online? Clayton: Got it. Perhaps we can just back up one second and talk about the production of the content because I’ll tell you this has been probably the place where I’ve had the most amount of growth. In how do I take an idea and get on camera and record it? What are the obstacles that come along with that? Maybe some people are going to be able to relate to this, but I will tell you that what I did not anticipate making YouTube videos, was how frustrating it was going to be in the very beginning. In terms of being able to get on camera and think clearly without someone necessarily listening to me, but having to imagine that someone else is on the other side of the camera, and be able to structure my thoughts in a way where I’m not rambling. Where I’m succinct, clear, there’s a beginning middle and in the end. One of the biggest obstacles I’ve had, and I think it took me maybe four or five hours to create my first video on YouTube. It was so frustrating. I kept having to go back, stop it, record from the beginning. Even the editing felt like an uphill battle. One of the insights that I had was in order to get the video uploaded I had to change the way I was thinking about the video. If I’m in the question of, can I get this done? Am I going to be able to complete this video? It’s a hell of a lot harder to get the video done than if I just go in and create a really crappy first draft and just get the video done. Even if I know I’m not going to upload it. Because if I get the video done, say I just record a 15 minute video that supposed to be 7 minutes long, at least now in my mind I’ve completed the video. Worse comes to worse, if I wanted to upload say a C-level video up to YouTube I could do it. Now the question is no longer, “am I going to get this video done?” The question shifts to, “can I make this better?” That was a massive maneuver, a mental maneuver that I learned after going through several videos and getting stuck. It’s just – get the first draft done and then just go back and make it better and better after that and shoot a couple different drafts which, allowed things to flow much more easily. The other component to is I did not focus on the perfect lighting and perfect sound, but rather getting the content out there and allowing the production quality to be something that gradually increases over time if that’s something that’s important to you. I see so many people get caught up in this production quality. They got to get the green screen and the perfect microphone, the DSLR camera that blurs things in the background and possibly even the teleprompter so they can read off of stuff. What ends up happening is that no videos get uploaded because all the attention is on how it’s going to look rather than actually on the thing that matters, which is the message. Eric: It seems like really there’s a common point between both of those statements you just made, which is removing obstacles. Don’t create obstacles for yourself whether mental or external that actually keep you from producing the content because the practice of production is actually what the product is. That’s what needs to be refined over time, not the wrapping paper that’s put around it. Clayton: Absolutely. Going into your original question about, we’re getting into a little bit more the tactile side of things of what to do to grow a channel. One of the things that I did in the beginning is I looked at other people, other coaches that were out there and successful in the realm of relationship – that had big channels. I researched their most popular videos. I go to their channel and I click on most popular. It would sort the videos by views. I would take note of the titles. I would take note of the things that were ranking for them. If you do that with maybe five, ten people you start to see the patterns of what videos are trending and what videos are the most popular in the relationship niche. Then I would come up with some variation of that title and I would sit down and brainstorm content on that – that was unique to me and unique to my message. The thing that I would not do is I wouldn’t watch these videos. I wouldn’t watch these people’s videos to get ideas because I found it that would actually end up intruding and disturbing my own creation process. I just look at the titles and then I come up with my own content. I say rather than reinventing the wheel, I’m looking at what’s already working and then I create content around that. That’s in the beginning phase of how I even come up with some of the content. Eric: So does that mean does that mean that YouTube’s algorithm is heavily based on the actual title of the video? Clayton: Yeah, I think so. I think it’s really based on keywords. One of the keywords that for instance that is really popular is who is, “Signs He Likes You” or, “Signs a Guy is Falling In Love” or, “How to Save a Relationship”. I will do a little bit of keyword research along with the title just to find out how they are ranking. How much is the search volume. Then those top keywords I will have a notebook of the videos that I need to create content for. I do think that there is people searching for it and if there’s people searching for it then YouTube is going to be taking videos that are related to that, and they’re going to be thrown in the suggested videos field to the right. Eric: When you say you do keyword research is there a specific keyword research tool for YouTube or are you talking about Google Keyword research? Clayton: I used something called Keyword Planner someone recommended to me. I think you can use the Google tool as well. I know other folks in the YouTube realm that do that. Just some type of keyword research tool that allows you to see the volume and it understands where there’s opportunity and where there is not. Eric: Through this strategy over time you’re getting more and more people to watch your videos because you’re using the strategy of targeting people looking for certain keywords. Now, once you have people watching the videos, what’s your ultimate objective for them and how do you make that come about? Clayton: The first 30 seconds are incredibly important. What I like to do in the first 30 seconds. I don’t do this in all my videos, but it’s something that I would like to incorporate more and it’s something I have in the past with certain videos is – just telling them right off the bat. Hook them with a title, tell them what you’re going to talk about and pause for the moment and say, “hey if you found this is valuable, or if you find this video valuable make sure you like and subscribe.” Giving clear instructions on what I want the viewer to do which, is I want to increase my subscriber base and I want the video to be liked as many times as possible. All of that will help the channel grow and will continue to add weight into the video being suggested to other people who are searching for videos related to the topic. That’s what I like to do in the first 30 seconds and I also like to tell them what I’m going to talk about. To try to hook them. The goal here is I want them to watch as much of the video as possible because the engagement time matters. If people are watching the video and they’re popping off of it – that does not look good for the algorithm. It’s communicating to YouTube that I’ve got content up there that is tricking people. Perhaps the title is not related to the content. Eric: Or, maybe somebody is using a service. To hire that service to like their videos. Clayton: Absolutely. Yeah and not even watch them. Just jump on there, like the video and jump off. Engagement time is important. To that end, making really long YouTube videos – I’ve been advised not to do that. To keep anything between five to seven minutes. I do go over that every now and then, but I tried to keep it as succinct as possible because I want them to watch a majority. A majority percentage of the video because that looks good for the algorithm. Eric: I imagined as you grow there’s a little bit more leeway with that. Once you’ve established a certain credibility, I’ll likely watch more of it just because of the social proof. So that job probably gets easier over time. Clayton: It does. The beautiful piece about that as well is I have two different types of videos, two different categories. There’s probably more, but there’s two off the top of my head that I can think of. Some of them are the ones where I’m trying, I’m really giving the audience what the market is wanting in terms of keyword searches. Videos that are related to top keywords that people are searching for in the relationship niche. The other set of videos are the stuff that I want to talk about. One of them is casting the net and the other one is because I’m wanting to attract clients that are willing to invest in themselves and are willing to do the inner work. Sometimes those keywords don’t necessarily match to that “want.” So, I will create other content that is lower searched terms, but more related to transformation and the stuff that I really love to talk about that I don’t try to jam into a keyword. Those two different categories I vacillate between both of them when I’m creating content. Eric: That makes a lot of sense. That’s a similar a strategy that’s used in just content creation for a blog. Are there any other tactical tips that you could share about growing a channel? Clayton: Yeah so getting into the nitty-gritty, another thing that I do is I take the keyword and I do my best to make sure that the keyword is actually in the title of the video. Not just in the title of the video, but I actually named the file the keyword as well. So before it’s even uploaded I actually named the MP4 and I have a keyword in that. I’ve heard that makes a difference, so I’m trying to have as much working for me as possible. I upload the file that’s named the keyword and then when it’s on YouTube, I’ll use some copywriting skills and I’ll add different adjectives and I’ll sensationalize the headline a little bit. What I’ve found is that the videos that do the best on my channel are the ones that have a number in them. “The 3 Ways That Men Test Women,” or “The 5 Things a Man Needs to Feel In Order to Fully Commit.” Those tend to do really well. I think that people want these bite-sized chunks. It seems digestible and people are more likely to give you their time. You can just look at Cosmo magazine and different publications that have headlines that grab reader’s attention right off the bat and why they use them. I tried to incorporate some of that into the videos that I’m casting a wide net on. I also make sure that I’m including the keywords in the description as well. 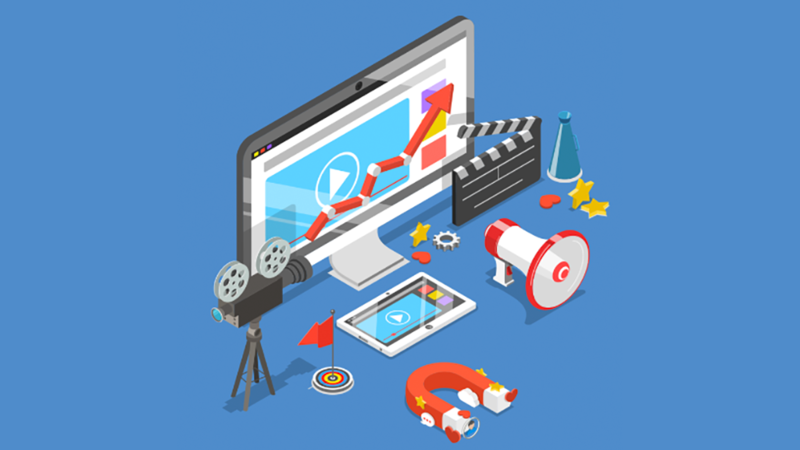 One of the elements that allow the video to have the best chance of ranking too is to make sure that you’re using all of the description as much as possible. I’m not sure how many characters, but fill the description out with a summary of the video as much as possible and also put some of the keywords in the description. Then putting the keywords and variations of the keywords in the tags on the back end is really important to. Eric: Cool. Now let’s talk about monetization. What are the ways that you monetize your channel? Clayton: I have AdSense turned on for all of my videos. So, that’s one way that I monetize the channel. For everybody that’s watching, a certain small percentage that I will make off the ads. The way that I stay in business, is at the end of all my videos I have a call to action that does one of two things. It either invites them to a webinar that I’ve got that dives deeper into this body of knowledge but I’m sharing and is a 60-90 minute presentation. Or, I’m giving them some type of giveaway. Like, “The 8 Secrets to Create a Rock Solid Relationship” is a PDF that I created and it has eight guidelines that I’ve seen come up in my work that are just critical to make a relationship work. I put those in a PDF and people give me their email address right off one of the videos, then they get this delivered to their inbox and they’re on my email list. Eric: When you say an email address right off one of those videos. Where are they actually giving you that email address? Clayton: In the description, or on some type of overlay on one of the videos, I’ll have an external link that goes to a Leadpages or some form that allows me to capture their email address. They will leave the YouTube environment and I’ll have something saying “enter your email to receive the 8 Secrets to Create a Rock Solid Relationship.” You’ll receive it in your inbox momentarily. They’ll put in their name and their email and then they’ll be on my email list. Eric: Okay. Then once they’re on your email list you have products and services that you sell? Clayton: I do. I have follow-up sequences in place to build a relationship with them. To give them more free content, to direct them to content that they might find valuable and then I give them the opportunity to get on the phone with me or to purchase a product that I think might help them. Eric: That’s brilliant. You’ve got the exact list of things that need to be done. Granted let’s talk about realism for a second. You have this amazing thing set up right now, but it doesn’t happen overnight. It doesn’t need to happen overnight. What were some of the milestones that you hit? How long did it take until you even got to 1,000 subscribers? Clayton: Months – months. It took me almost a year to hit a 1,000. Eric: Okay. So, you got to a 1,000 after a year and then where were you after two years in terms of subscribers? Clayton: I think I was around to over 50,000 after two years. I think something happened where there was a trickle of subscribers like little raindrops and then suddenly there was a cloudburst. The storm broke and it started pouring subscribers. I remember getting anywhere from 200 to 300 subscribers a day consistently even when I wasn’t uploading videos More and more were being found. That didn’t even happen until I was about a year. Eric: And then you implemented your offline strategies which happened when for you? Clayton: When you see my offline strategy? Eric: The whole thing where you do the CTA [call to action] at the end of the video pushing them to an email list. Clayton: When I was working with my last business partner and mentor I realized that I just didn’t have my own list. I was really reliant on that. I knew how to coach, or at least I thought I did, and I knew that if I wanted to be independent and sustainable, I needed to have some way of getting leads in the door. I was doing the CTA’s right in the beginning because I knew that that was required. Was I getting any emails at that point? No, not really. The CTA’s were there though. The calls to action were in place because I knew that I came from doing affiliate marketing and coaching and understanding that the value of the business is in the list. YouTube is one asset and it’s great, but I need to be in people’s inboxes. Right from the get-go my goal was to say I’m building a YouTube channel so I can build my list. Eric: And to remove obstacles for people who may be intimidated by technology and lists and all this, from your experience what do you find is the easiest way for people to get something set up? Clayton: Leadpages are great. I’ve been using Leadpages and I know there is a number of different services that are out there like that. I use Leadpages just to create a quick simple web page with an email capture and a picture of the e-book. The picture of the e-book I got from fiverr.com. I had somebody design it and send me back a three-dimensional copy of it. Pop that on the web page and I hooked up Leadpages to ActiveCampaign email service, which is very simple to do and you can even hire somebody on Fiverr to do that for you if you get stuck. It’s very simple. That was it. I didn’t even need a website at that point. It was just about getting the emails and being able to have communications with them. Then, as I’m building the email list, sending any new videos that I’m creating out to those people to get views on them immediately. Eric: I see. That’s a good strategy. I think what you’ve outlined in this video is all there. This is the blueprint. Going back to what we said, what the essence of your success was – persistence and inspiration. These are the tactics. These are the techniques. The thing is if it was only just about tactics and techniques there would be a lot more people who are being successful. The thing is, if people are listening to this and they have the persistence and they have something to share, they have the inspiration – I think it’s also extremely valuable to hear from people who are successful like you to say, “look, I didn’t know I was going to be successful in the beginning. I didn’t have the confidence. You don’t even need that. You don’t even need to be good at it in the beginning. Just do it!” I really appreciate you sharing all of this with us. Tell us where we can find you on YouTube or elsewhere if we’d like to hear more about what you do. Clayton: On YouTube just type in Clayton Olson. Clayton Olson Coaching – that’s the name of the channel. I will pop up immediately. You can also just go to my website claytonolsoncoaching.com. If it’s relationship advice you need, you can opt-in, you can shoot me a message. Or if you just want to check out what I’m doing, take a look at the website and feel free to drop me a line if you have any questions. Eric: Again, Clayton thank you so much for coming on and sharing all this information with us. It was super helpful. Clayton: Yeah thank you for having me, I really appreciated your questions. And that wraps up this episode of the Subscription Entrepreneur podcast. I’d like to extend my sincere thanks to Clayton for coming on the show and sharing the lessons he’s learned on his journey. And thank you for listening. I hope you found the tips and strategies Clayton shared helpful and inspirational. Clayton made a lot of different points and recommendations and it’s all pure gold. To that end, we created a special guide on how to start, grow, and monetize a YouTube channel which includes everything he shared. To download this guide head on over to SubscriptionEntrepreneur.com/115. There you’ll also find the complete show notes for today’s episode including the transcript, recommended resources, and more information on Clayton. For more interviews with successful entrepreneurs who share their strategies for success, please subscribe to the podcast on iTunes, Google Play or Stitcher and share with your friends, family, and colleagues. We’ve got a really special episode coming up for you next time. In it, we’re joined by content marketing experts Andrew & Pete. They’re a memorable duo from across the pond who seriously know their stuff when it comes to creating engaging content in today’s world. 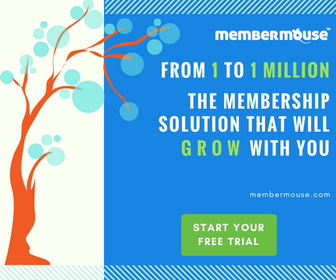 They also run their own membership site and share their insights with us on that front. You won’t want to miss this episode, so stay tuned. Thanks again for listening. We’ll see you next time. Do you want to start, grow, and monetize a YouTube channel? Clayton made a lot of valuable points and recommendations about how to start, grow, and monetize a YouTube channel. So, we created a special guide that distills all of his information down into a simple formula.